Here goes another lager rant. Not really, well yeah, it happens. This one is unique though. For a few months now, we have internally been playing around with the slow pour Pils concept. This technique involves a series of aggressive pours to generate a huge head that might seem undesirable. After a series of three pours spaced out several minutes between, the result is a beautiful rocky head that is loaded with aroma and is truly something special. As a skeptic at heart, I’ve tried to talk myself out of the idea that this technique makes a beer event better. A trip to Downingtown, PA last August to visit our friends at Victory Brewing finally sold me. After that trip and multiple lager sessions with the staff, I have succumbed and now fully embrace the greatness that is a slow pour Pils. This presented a problem for us in the tasting room. We didn’t really have glassware that was suited for this style. We have a lager glass that worked well enough but had nothing with significant height and size to truly show off our flagship Pils. To the Germans we went. 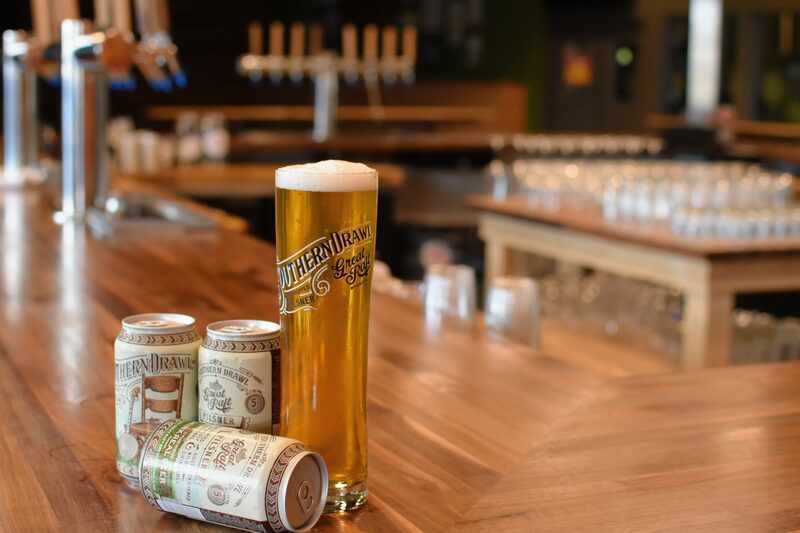 We worked with German glassware designer Sahm to identify the perfect glass for our Pilsner. One can easily surmise they know a thing or two about engineering and beer. You would be surprised how many options exist for a single style alone. We tested a few designs in the tasting room with customers and employees looking for a variety of things: physical presentation, weight, size, aroma perception and overall durability were a few things we considered. One thing that wasn’t up for discussion was the size. Anything less than sixteen ounces of Pilsner is just downright cruel. After a good bit of discussion, we settled on a beauty that showcases our beer perfectly. The tall and tapered glass delivers a lot of things specific to this style. For one, it provides great visibility showcasing the brilliance of the beer itself. Typically, Pilsner is bright and crystal clear. Additionally, its height allows us to pour aggressively and build a beautiful rocky head packed with aroma. Last but not least, we needed to up the ante — entire nucleation etching. By etching microscopic points in the bottom of each glass, we are able to force dissolved C02 upwards through the beer, enhancing the aroma. The C02 detaches from the beer at the bottom of the glass and drives aroma-packed C02 to the head of the beer throughout the entire drinking experience. Yeah, we are geeking out over here. Since we had the option to design the etching, the outline of Louisiana seemed right. We are proud to present our custom designed Southern Drawl Pilsner glass that is the perfect vessel for enjoying our dry hopped Pilsner. For now, glasses are available exclusively through our online store and in tasting room but will begin to roll out to your favorite bar very soon.